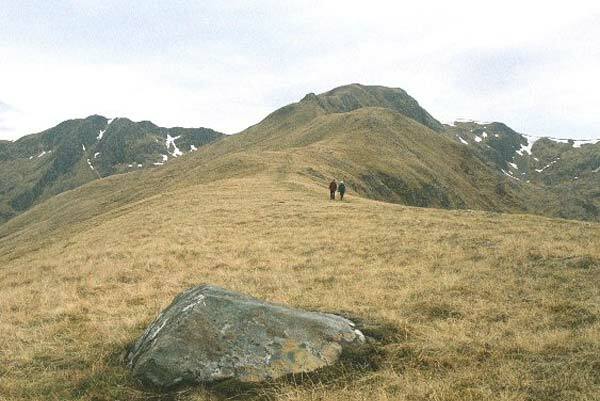 Maol Chinn-dearg is one of the 7 Munros on the 14km long South Glen Shiel Ridge. 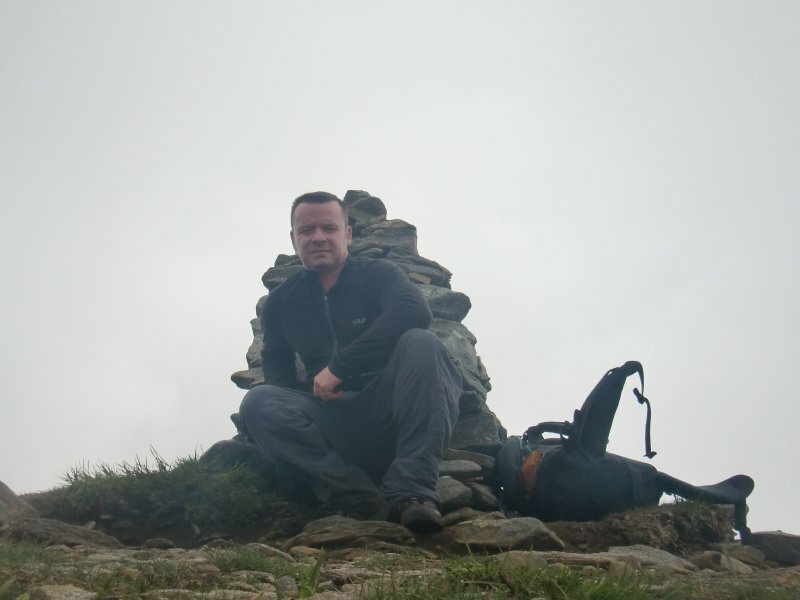 The ridge has steep slopes to the S and is very craggy with many corries to the N. The traverse follows the scalloped rims of the corries between peaks. 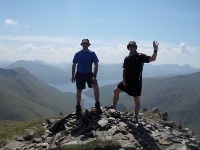 The ridge may be climbed in two sections E and W but individual peaks are not easily accessed and do not require individual descriptions. Maol Chinn-dearg is the most westerly peak in the E section and hence the exit point if the whole ridge is not to be traversed. 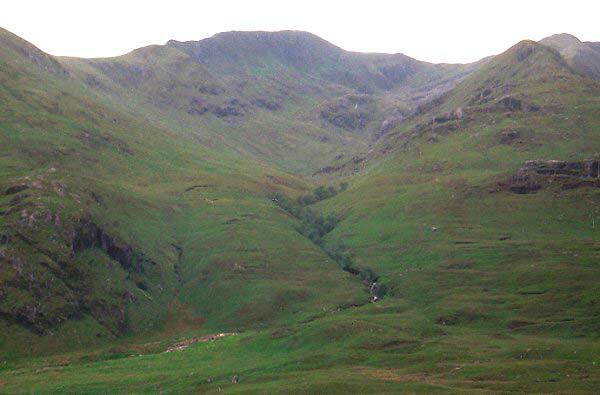 The NE ridge of Maol Chinn-dearg, Druim Coire nan Eirecheanach, has a path on its crest leading down to Glen Shiel. 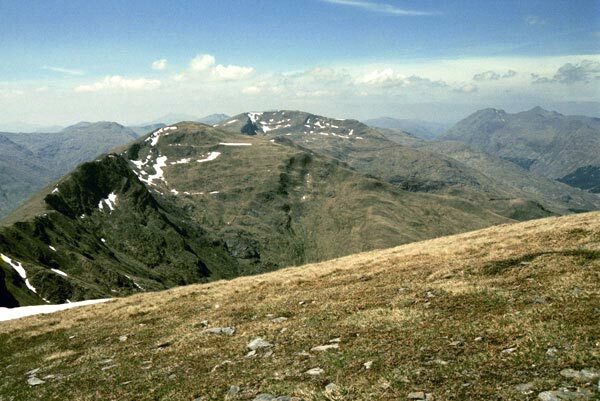 Maol Chinn Dearg (left skyline) - descending to Glen Sheil from the eastern four Munros of the S Cluanie Ridge, via Druim Coire nan Eiracheanach. Looking up Coire nan Eirecheanach from the A87 road in Glen Shiel, towards the east top (left) and summit (right) of Maol Chinn-Dearg. 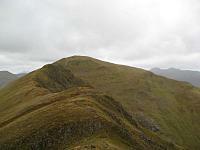 Maol Chinn-dearg and Sgurr an Doire Leathain from Aonach air Chrith. 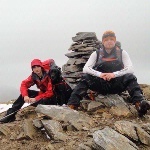 The summary information of one or more ascent routes that include Maol Chinn-dearg. 2 818 m 7.59 km 3 hrs Maol Chinn-dearg An easily-graded walk with good views south and west across Glen Quoich towards Gleouraich and Sgurr a' Mhaoraich, . Crossing Allt Coire a' Chuill Droma Bhig at the end of the walk might be a problem if in spate. 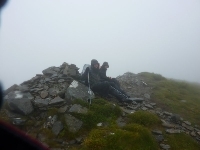 Post a few words about Maol Chinn-dearg or read what others have had to say.